For the ultimate in innovation and technology for Nissan, there’s only one source in Western Pennsylvania: the #1 Cochran Nissan Group. Get unparalleled access to our massive combined inventory of new and certified pre-owned Nissan cars, trucks, vans, SUVs, crossovers and commercial vehicles with three sizeable Nissan stores in the Pittsburgh market. 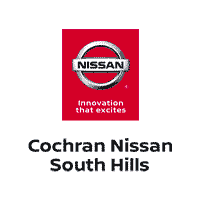 #1 Cochran Nissan makes finding the exact model you’re looking for simpler than ever – and simpler than anywhere else. No matter where you live, you’re never far from #1 Cochran’s Clearly Better Nissan Buying experience. Our Nissan Dealership in South Hills offers specials on new Nissan models to Pittsburgh, Pleasant Hills, Dormont, Mount Lebanon, Bethel Park, Homestead, West Mifflin, Upper St. Clair & all of Allegheny County. 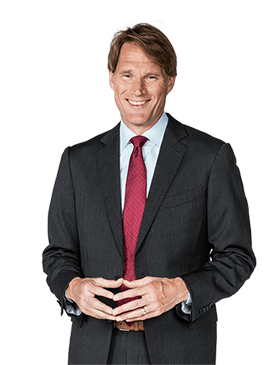 We’re able to provide you with an incomparable level of sales and service because #1 Cochran Nissan is part of the largest auto group in Western Pennsylvania. #1 Cochran’s success continues to be built by going above and beyond for each and every customer. We sincerely hope you’ll become one of those customers. It will be a superlative experience you won’t forget…we promise. More than 50 years ago #1 Cochran was founded in Pittsburgh. We are extremely proud to be a local, family-owned business. Our strong roots are something of a rarity these days, as many other longtime local dealerships have sold to out-of-state chains and investment groups. Not us, we like the fact that our customers and neighbors are one and the same. We plan to continue to extend, here, in our hometown. We’re building new world-class facilities, acquiring other local dealerships and using new technologies to make car buying efficient, simpler and more affordable than ever. …Started off in 1965 as a Pontiac dealership. …Is Western Pennsylvania’s leading auto retailer and one of the best private dealer groups in the nation. …Owns the largest geographic footprint of any dealer in the Greater Pittsburgh region. Hosting showrooms located throughout Pittsburgh, Pleasant Hills, Washington, Mount Lebanon, Bethel Park, Homestead, West Mifflin, Upper St. Clair & all of Allegheny County. …Employs more than 1,100 of your neighbors and friends through our various sales, service, and collision repair operations. …Is the only automotive company ever to win the Pittsburgh Business Ethics award. …Is the only Pittsburgh auto group endorsed by Edmunds.com. …Named a Pittsburgh Top Workplace every year since the award’s inception.